Our office is conveniently located near Orlando International Airport. Walk ins are welcome. Serving drivers and the community since 2012. Pass Your DOT Medical Exam! Dr. Bayla knows how important it is that you continue your livelihood as a commercial driver. 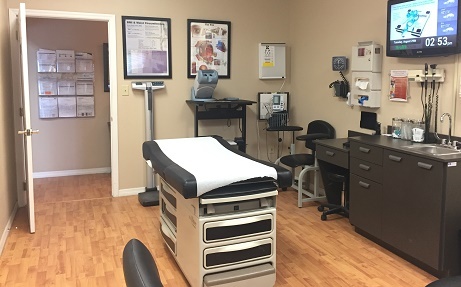 With her extensive knowledge of the DOT Physical Exam medical guidelines, Dr. Bayla will steer you through the DOT Physical Exam requirements so you can Keep on Truckin’. Looking for a DOT Physical Exam or CDL Physical Exam in Orlando, Florida? You’ve come to the right place! We are located at 4985 Hoffner Ave. between Semoran Blvd and Conway Rd. in Orlando. Dr. Bayla is a National Registry Certified Medical Examiner that provides CDL and Non-CDL Physical Exams for drivers. Drivers are our priority!